At ILLICIT HAIR we do things differently, and our clients are in the heart of everything we do. Our main goal is that you leave our hair salon feeling and looking great, and keeping your hair in a good condition! We use eco-friendly and vegan hair products made from natural ingredients, so whilst our hairdressers look after you and your hair, they also look after the environment. We know that a lof of people experience fear of going to the hairdressers and feel nervous and we want to take this away. We believe that you should feel comfortable as soon as you walk through our salon door until the moment you leave with your awesome and gorgeous looking hair! We are not just another hairdressers in Eastbourne – we offer you the possibility to enjoy lunch from a wide range of tasty foods and refreshments during your visit. Not only will this make your visit so much more comfortable and easy, but also save you time by allowing you to have lunch whilst getting your hair done! At ILLICIT HAIR hairdressers we are passionate about giving you the hairstyle of your dreams. 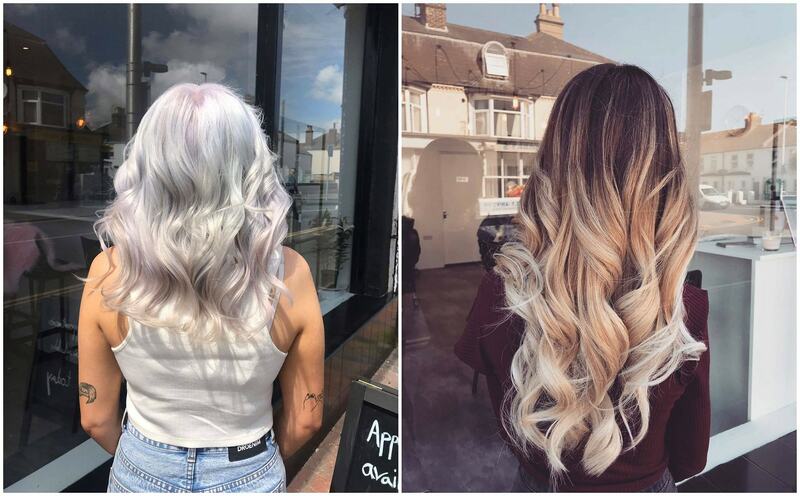 To find more amazing styles from our hairdressers, follow us on Instagram @illicit.hair! You can book an appointment easily online.